Don Agostino Tambutto was a lover of stone and earth and a hard working individual. It was said that he lived his life with his head in the clouds and his feet on earth. He stood out for his modesty, priestly dignity and the time he spent tirelessly working on the land, worshipping and reading spiritual texts. He was a man of grandiose ideas and with little means he was able to carry out remarkable feats. 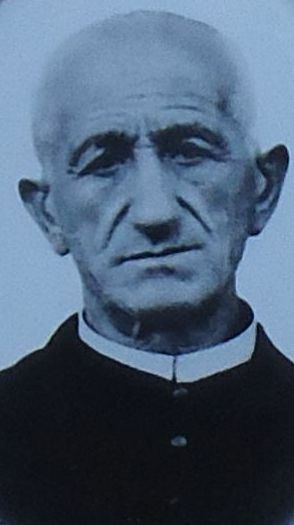 In his 56 years of duty as a priest in Cerendero, Don Agostino Tambutto (1862-1947), a local, devoted himself with generosity, tenacity and determination to the building of San Rufino’s Church. He took part in the work with an inspired enthusiasm, which he drew from his resolute hope. On 31st August 1944, Don Agostino Tambutto was made Archpriest by the Cardinal Boetto, as a reward for his tireless work.